The Madras FFA chapter, and students in the Agricultural Leadership class recently did a community service project. 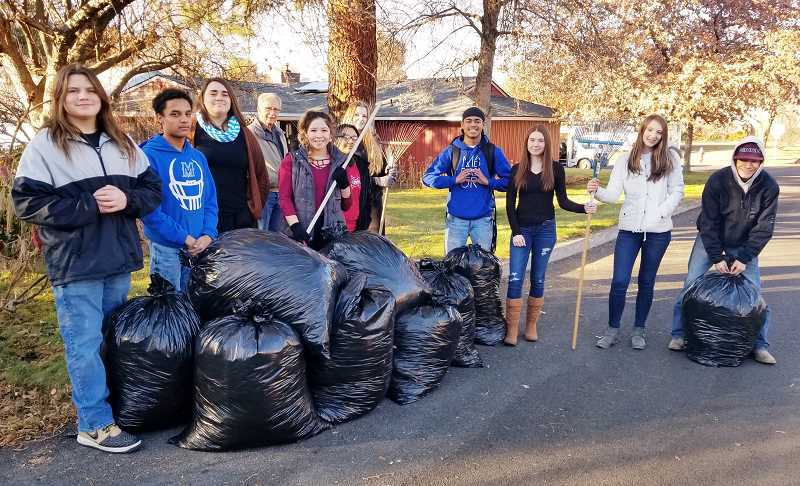 "Retired Madras High School teacher Steve Hillis asked if FFA members would be willing to help rake leaves from his yard. We gathered forces, arrived at his home and cleaned up his yard," said FFA advisor Sara Vollmer. She noted the FFA chapter's goal this year was to increase service projects and give back to the community, which has supported it throughout the years.